Yummly has been my go to recipe finder lately and I have yet to find a dud. This Sticky Coconut Chicken is my latest find and wow… I think I’ll be making this more often. 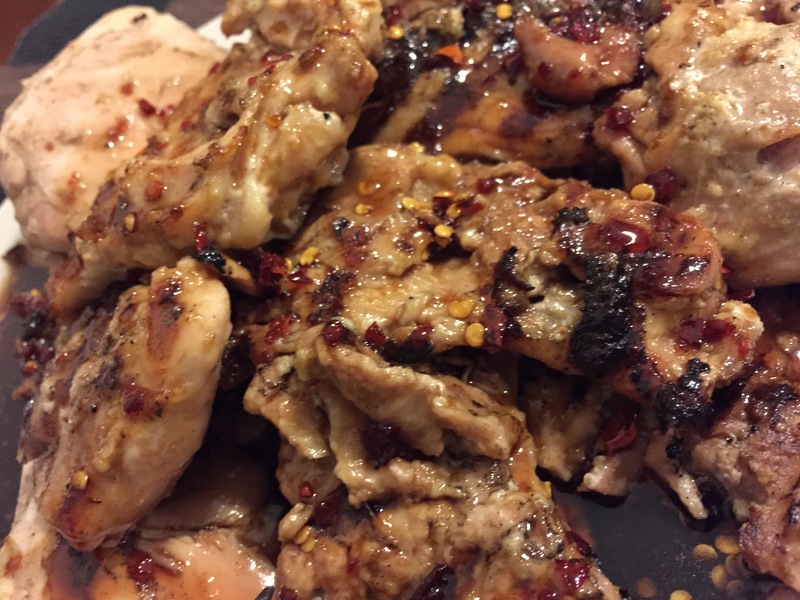 The chicken is marinated in coconut milk, ginger, chili flakes and pepper and then grilled. It is then topped off with a delicious sweet chili glaze. I was supposed to top these off with chopped green onions but I clearly forgot (out of hunger) and this is best served with rice. This is an easy weeknight meal to make. You can even leave the chicken marinating in the morning and then grill it when you get home (which I think will be the plan next time). All the flavours complement each other really well and none are super overpowering. I even eased off on the ginger a bit but I think next time I’ll add a little more, just to see. A word of warning… keep an eye on the chili glaze so you don’t end up with burnt sugar on your glass cooktop like a certain blogger did (sigh)… I hear that Mr. Clean Magic Eraser works well to get rid of it so I’m crossing my fingers. 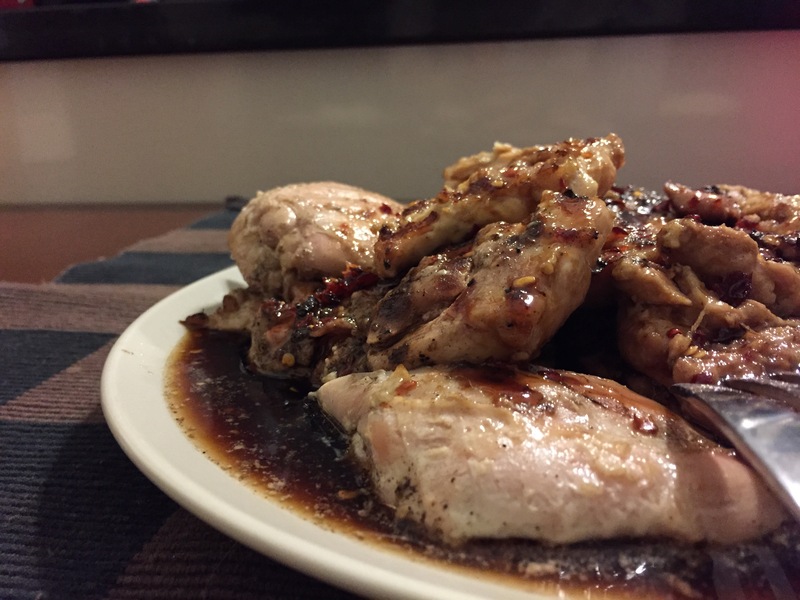 Here’s the recipe for the chicken and the chili glaze. Guten Appetit!